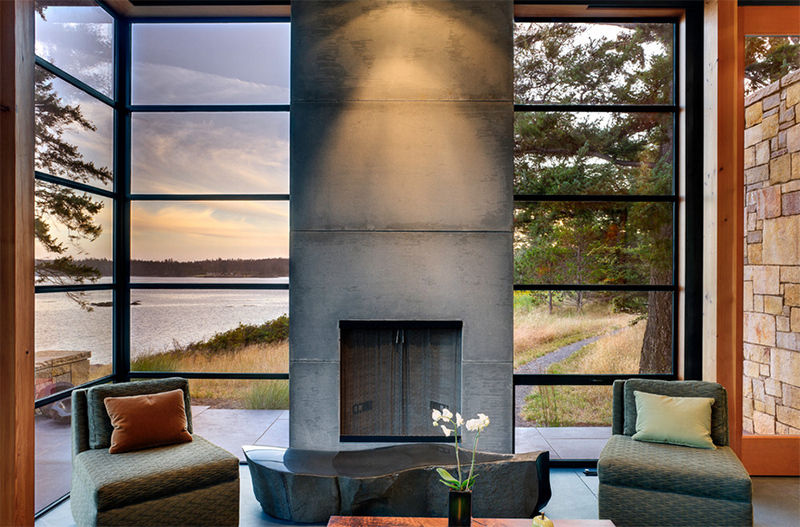 If you are still doubting the beauty of concrete, this list of concrete fireplaces will change your mind! If there is one thing in the living room that would get our attention, it could either be the furniture or the fireplace. For homes that have a fireplace, it becomes the center or focal point of the space especially if it has a stunning design. Most of the time, the fireplace and entertainment system are located on the same area making them both a highlight in the living room. 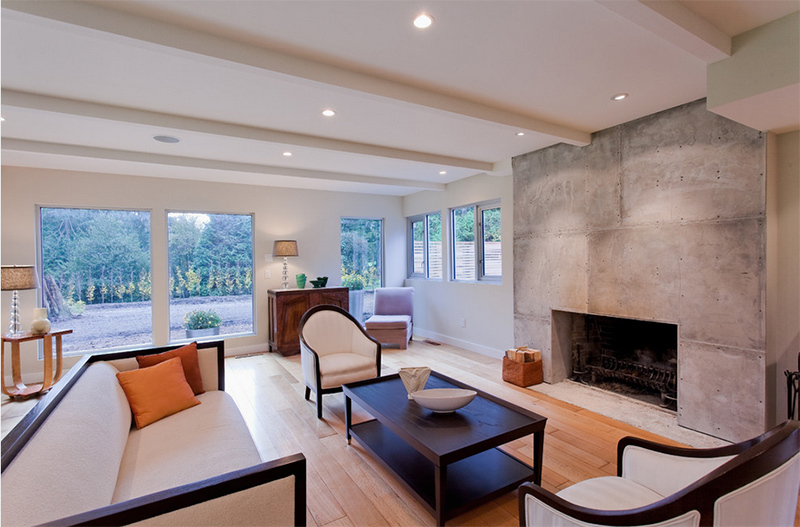 A fireplace could be made from various materials which includes concrete. With that, we are going to show you different concrete fireplace designs. 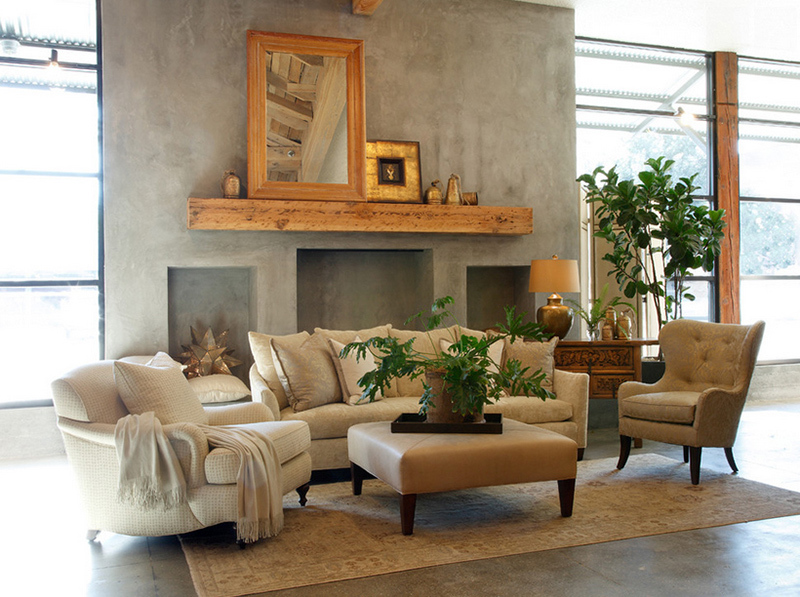 Using concrete for the fireplace may not sound appealing for some because of its industrial and unfinished look. But the natural look of concrete actually looks very gorgeous when done rightly. Some fireplaces even left some cracks on it intentionally for more visual appeal. Others would be creative in casting the concrete by using some forms that would live a unique striation on the fireplace. But the fireplace’s design will also vary on the kind of space you have and the location of such. It will also depend of the style you want for your fireplace. What is good with using concrete is that you can decide your design and it can be done in that manner. 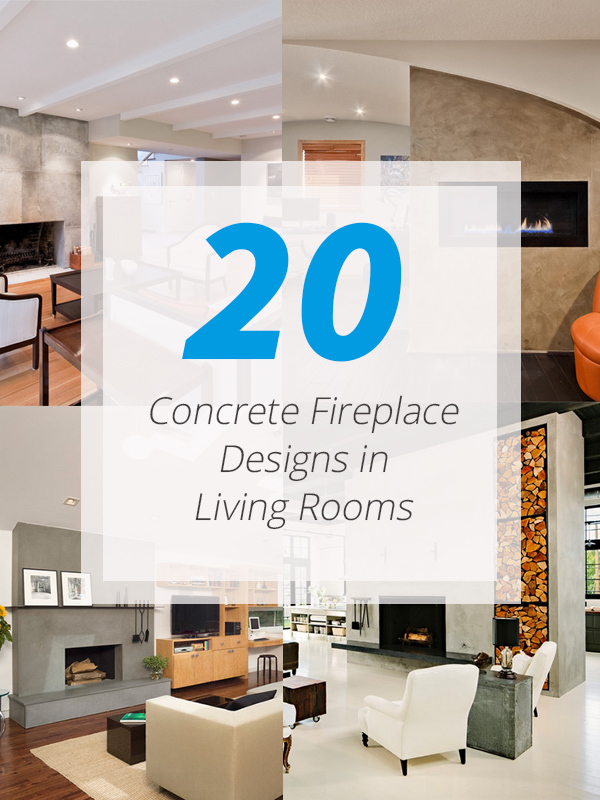 If you are still doubtful about using concrete for your fireplace, here is a list of 20 living rooms that are charmed by concrete fireplaces in various designs that suited the space. This contemporary living room has gorgeous furniture in contrasting black and white. It is surrounded with glass windows and doors and some lovely decors. 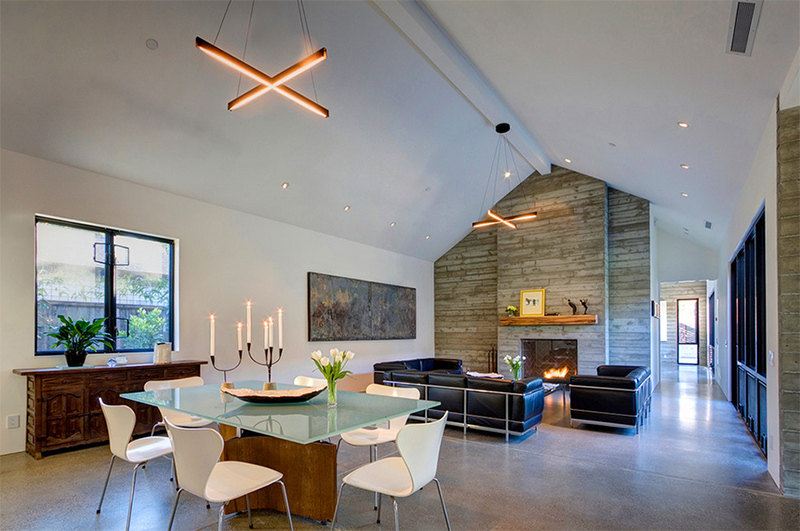 It has a concrete fireplace that matches well with the wooden flooring. According to the architect, the fireplace is approximately 5′ wide and used concrete panels that was cast on site and lifted into place. It does very gorgeous right? I guess anyone can achieve a look like this! The project is for the interior and exterior design of a house as well as partial remodel of the Malibu residence. The fireplace has interesting levels on it instead of plane straight lines on the sides. Lovely, right? Isn’t this a stunning transitional living room? The fireplace design is interesting too as it inclined on the part near the ceiling. Such a neat fireplace! This new home is designed for a young family who desired to stay true to “modernism” without compromising the needs of family. It has an open floor plan and we can see that it has glass windows around it that allow natural light in. The design of the fireplace is beautiful too and combined it with brick stones. 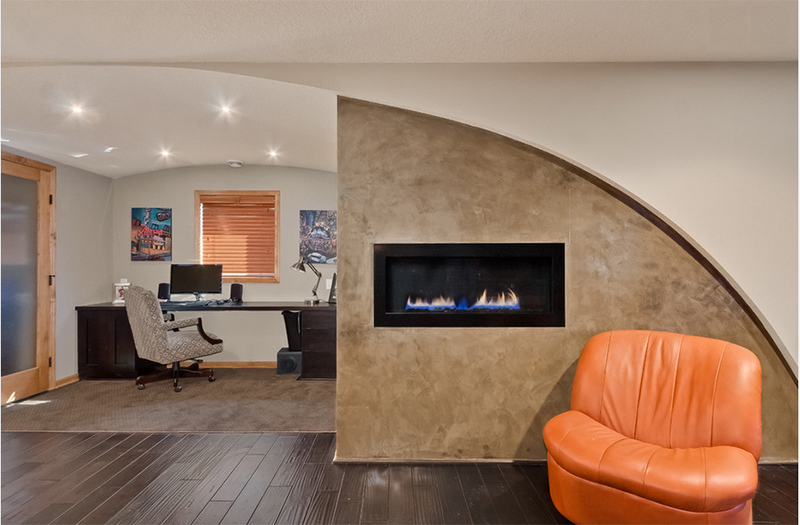 This concrete fireplace has a grungy look but it appear very creative and artistic. Do you agree with me? The cracks appeal to me much which shows that even if it isn’t perfect, it is beautiful. 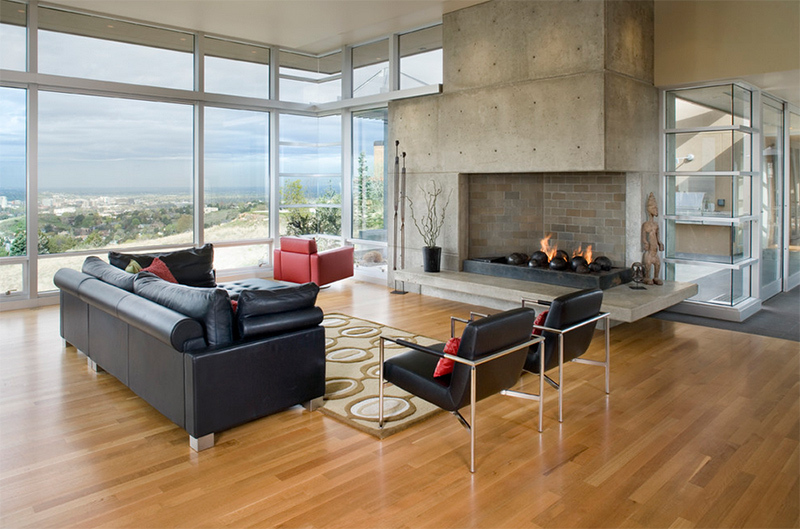 The fireplace in this contemporary living room was framed out in a plas. Isn’t it a stunning item in the area? A Spanish bungalow was renovated and transformed into a contemporary home. 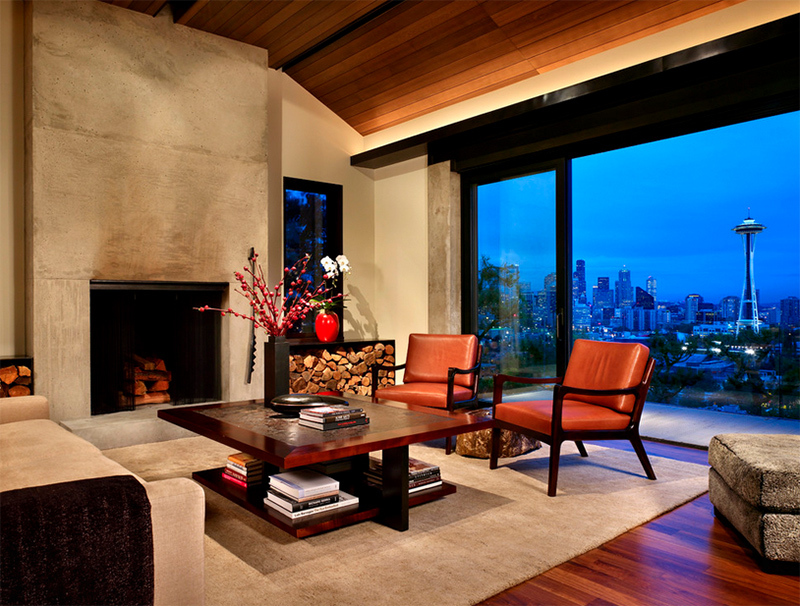 Seen here is the living room of the renovated space with a concrete fireplace and a view of the cityscape. 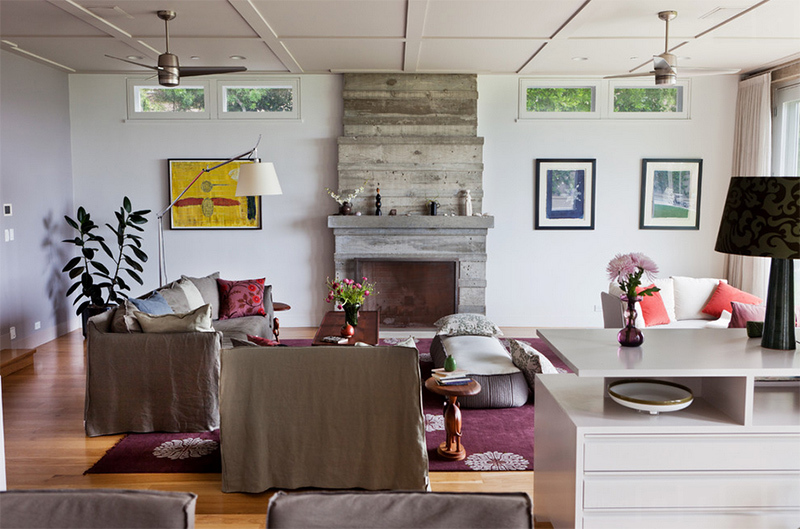 A concrete fireplace is added in this contemporary living room with a thin shelving that holds two framed artworks and some fireplace stuff were also stored on it. 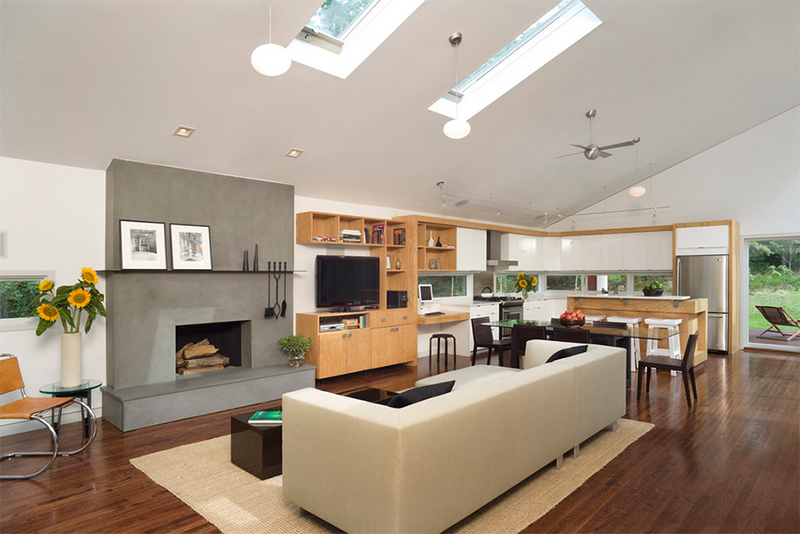 The space is also blessed with a skylight just above the living room. This is a good inspiration for a mid-sized contemporary enclosed living room with a library, white walls, dark hardwood floors, a two-sided fireplace, a concrete fireplace surround and a freestanding TV. 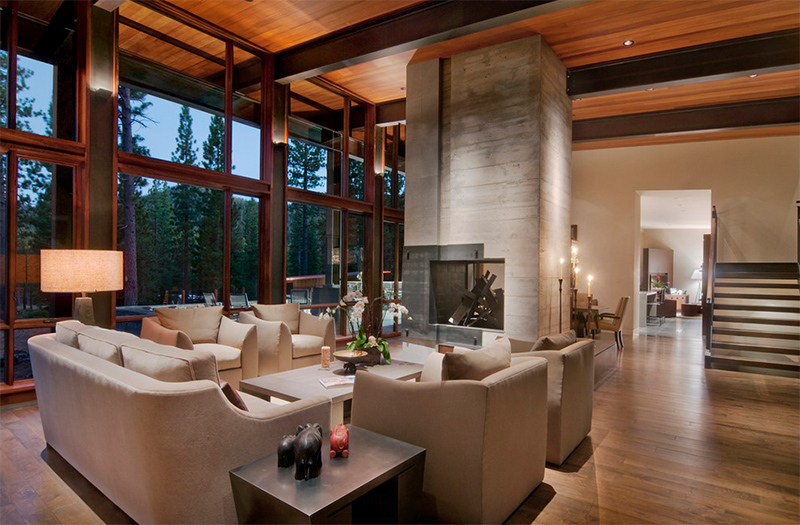 The fireplace is the highlight of this living area. 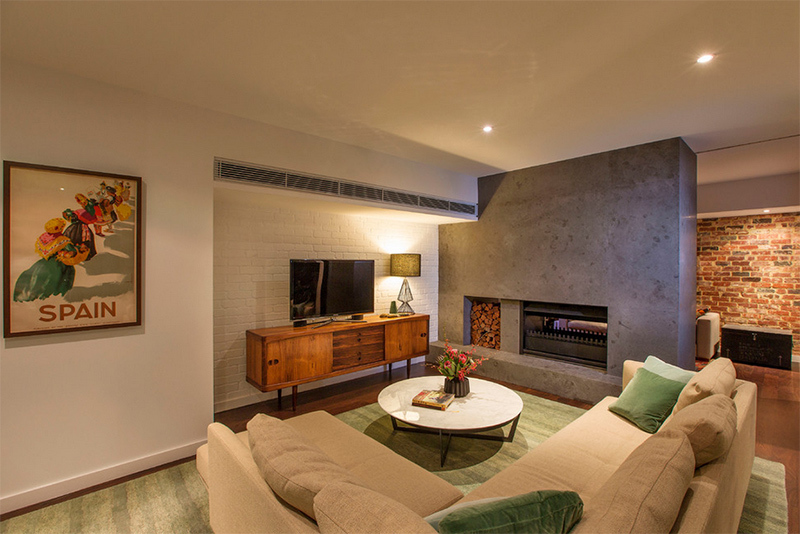 The hand plastered concrete fireplace is the visual anchor of the living room that all the rooms radiate off of. Behind the fireplace is an intimate library space which seems to hide from this beauty. You can also have a small fireplace like this one made from concrete. This looks pretty, isn’t it? This is a good idea for a small living room. The fireplace surround is made using reinforced concrete. The striation on it is from the form used when the concrete was poured. It looks amazing, right? Look at this living room! 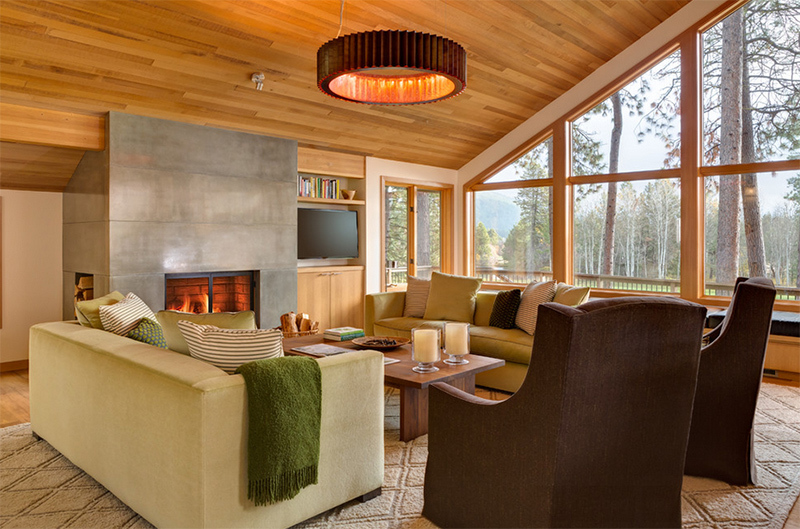 The fireplace seamlessly connects to the ceilings. But what makes it more lovely is the open space where the bamboos are seen and an inner garden. 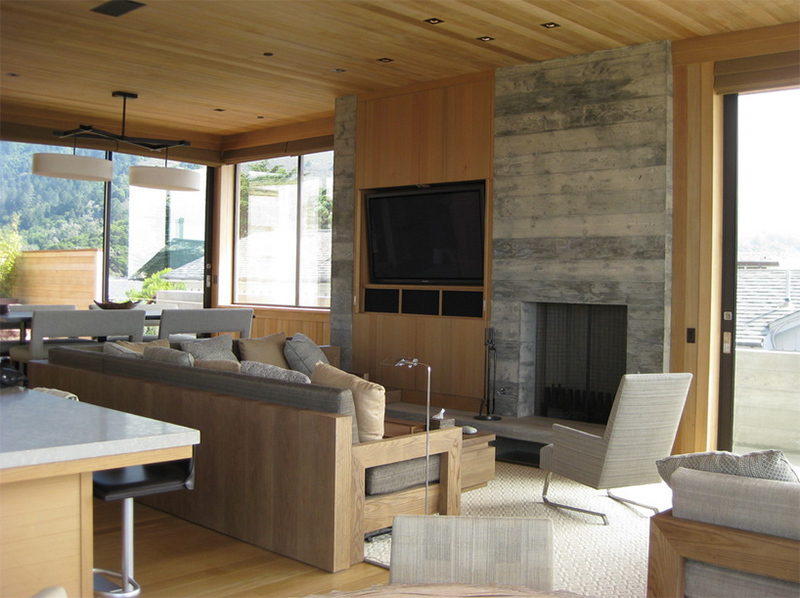 The material surrounding the fireplace is a concrete tile with a rough texture. Note that the look of the fireplace matches that of the flooring only that the flooring is shiny and darker. Such a grand beautiful fireplace indeed! The fireplace on the wall was defined with the concrete around it. The effect is amazing! Don’t you love the look of this living area? Asian elements mixed with modern features are seen in this living room. 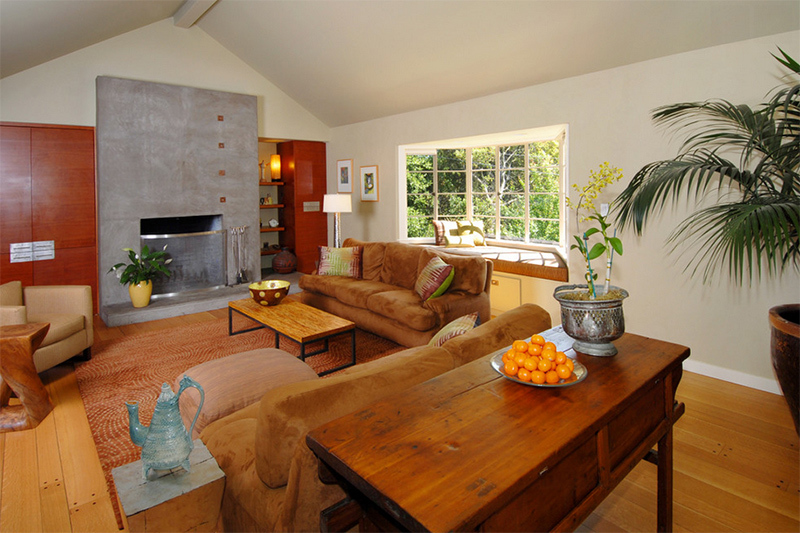 The concrete fireplace is a pretty backdrop to the set of beige furniture. Adding a plant centerpiece brings more beauty to this space. I know you can see the dining room here but draw your eyes to the living area with that wall where the fireplace is inserted. Its shape follows the form of the vaulted ceiling. And it has some lines that was from the form when the concrete was casted. A cute modern fireplace with a curved design. Aside from providing fire and warmth, it also divides and defines the different spaces too. What can you say about this design? The tall fireplace from floor to ceiling is a lovely feature in this living room. It looks well with the walnut floor that has a natural finish. If you thought a concrete fireplace looks ugly and boring, I am sure you have changed your mind after seeing the images above. 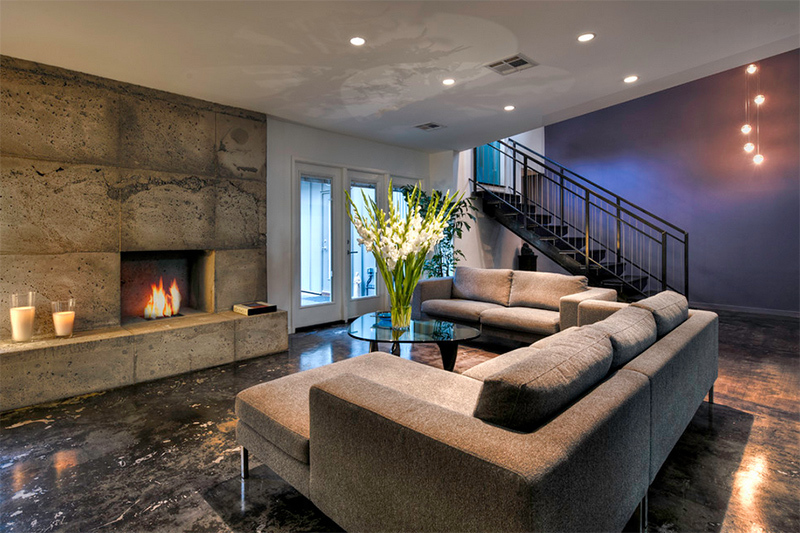 You can actually be creative with how you design your fireplace even by using concrete. 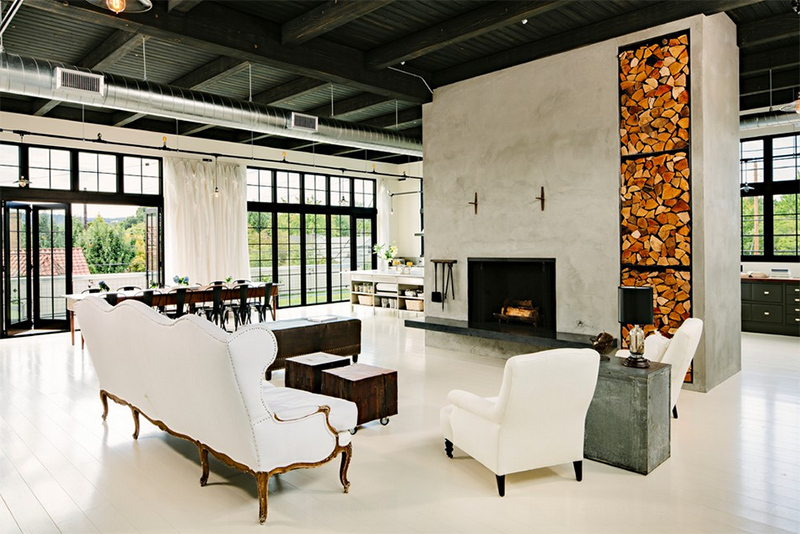 For some, they prefer bricks and stones while others opt for modern fireplace designs. In truth, there is a wide variety of fireplaces which you can choose from. You can never run out of choices because you can always get one from fireplace manufacturers or you can also request a craftsman to make you a unique fireplace. This way, it won’t just give warmth to your home but will also be a highlight of beauty and style. 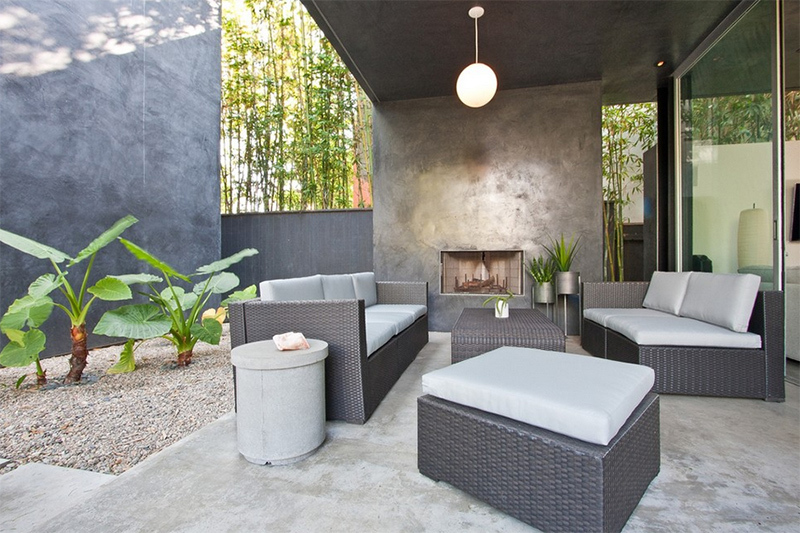 So, are you planning to add a concrete fireplace to your home?